Somewhere in the milky way of the firmament they are hiding. Tiny little spots which unforeseen power. Sending out strong vibes. We are talking about Quasars. Luca aka Quasar is living in the heart of Europe near Zurich. He likes groovy and hypnotic tunes and tries to tell soulful stories with them. 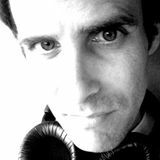 After many years of listening electronic dance music, he has a broad horizon, playing tracks pending between Deep- & Tech-House, Minimal or Indie with a focus on rhythm, boogie and - basically - a black soul. He likes open airs as Fusion, Nachtdigital, Garbicz. Merging with nature and music while dancing under the open sky is his prefered experiences. He doesnt like dogmatic DJs, Clubs and Sets. The Mainstream AND the underground electronic music scene evolves due to adventurous Producers and DJs.